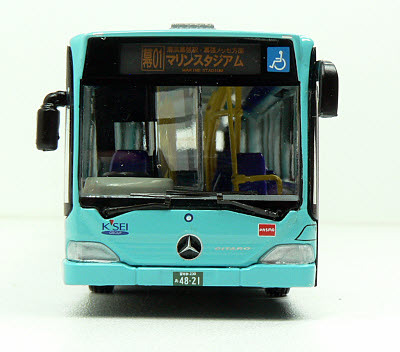 Creative Master Northcord Limited has now proudly released the first Mercedes-Benz Citaro G bendy-bus replica in Japanese bus operation. 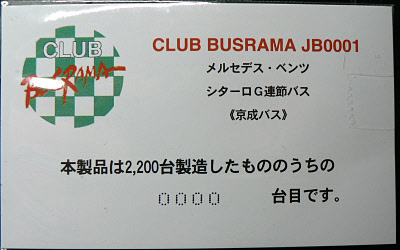 It is JB0001 Keisei Bus. Keisei Bus is a big name in Chiba, Japan. 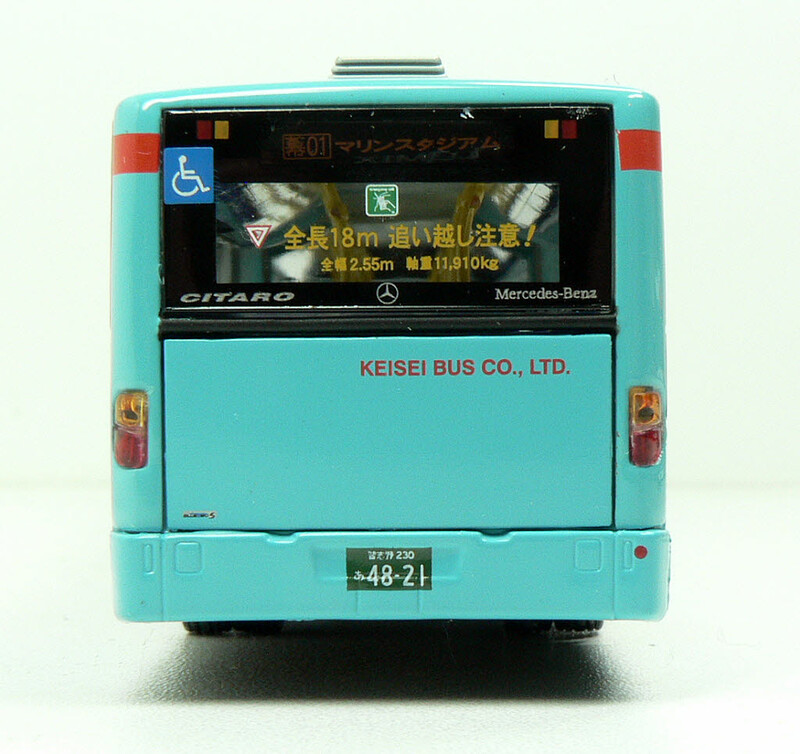 Keisei Bus has operated articulated buses in Makuhari New City area since 1998. It is the first Japanese operator to have a fleet of the articulated buses running on the public roads. Keisei Bus was having brand new Volvo B10M bendi-buses with Fuji Heavy Industry bodywork. 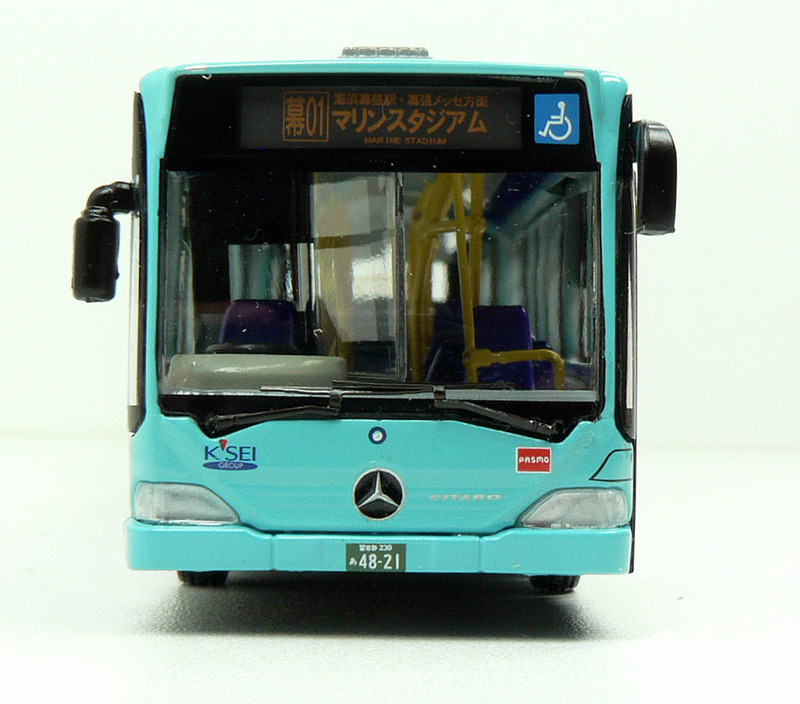 Keisei Bus acquired 10 brand new Mercedes-Benz Citaro G Euro5 buses to replace the Volvos. All new buses entered into service in February 2010, running in a loop service between Makuhari Hongo Station, Makuhari New City, Kaihin Makuhari Station and Marine Stadium. The Mercedes-Benz Citaro G JB0001 model’s clean lines accentuate the square-mounted, double-glazed windows and the livery application on which all logos and lettering are clearly legible. Another main feature on the model is the extensive portrayal of handrails. The headlight / indicator units at the front and indicator / tail light units at the rear are made of individual components to look more realistic. The JB0001 three-door Mercedes-Benz G bus model is limited to 200 pieces for the UK, Australia, P.R. of China and Hong Kong. 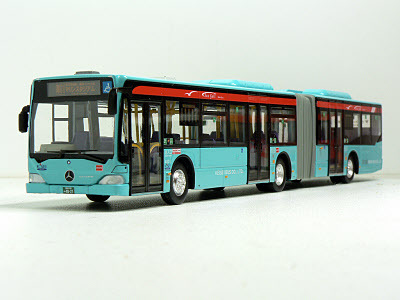 They will be distributed by John Ayrey Die-Casts Limited (UK), Transit Graphics (Australia), cnmycar.com (China), and Concorde Hobby Shop (HK) respectively.